For the 14th year, Smithsonian Magazine is offering free entry to more than 1,250 museums across the United States for Museum Day on September 22. If you want to get in on the fun, download a free ticket from the Museum Day website. All that's required is an email address. Each ticket admits two people to a participating museum. However, the site only allows one ticket download per email address, and you must select the museum you're headed to in advance. The theme of this year's Museum Day is "Women Making History." The magazine says the day is "honoring women in society who are trailblazers in the arts, sciences, innovation, and culture, and emboldening others to be pioneers." More museums and programs are being added to the list all the time. You'll find museums in every state, some of which are, of course, free year-round. (Though, it's a nice way for some of those museums to alert people in their own city you can visit somewhere like the Minneapolis Institute of Art for free every day of the year.) 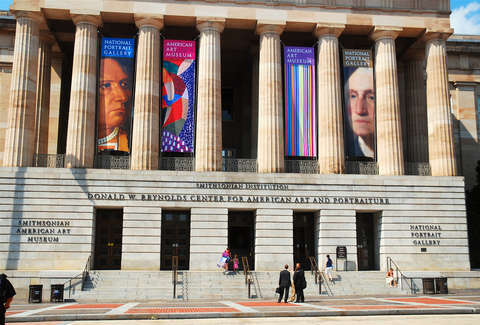 The list of participating institutions includes some of the nation's finest, like the National Museum of Women in the Arts, National Museum of the American Indian, the Smithsonian National Portrait Gallery, the Rubin Art Museum, and the Liberty Bell Museum. It's a great chance to be a tourist in your own city. Be sure to high five someone who works at the museum and say thank you.